Deathstroke/ Yogi Bear, Nightwing/Magilla Gorilla, Superman/Top Cat, Green Lantern/Huckleberry Hound – DC has done such a great job with their Hanna-Barbera books, including these weird crossovers. Pretty sure this is the third series they have done. Always great fun, respecting the history of the characters and still putting a fresh new spin on them. Really looking forward to these books! Special shout out to my mom, who is a huge Top Cat and hates kale, so a comic featuring Top Cat and Superman fighting alien kale seems tailor-made for her. Wytches Bad Egg Halloween Special #1 – Wytches was a real haunting series from Scott Snyder. 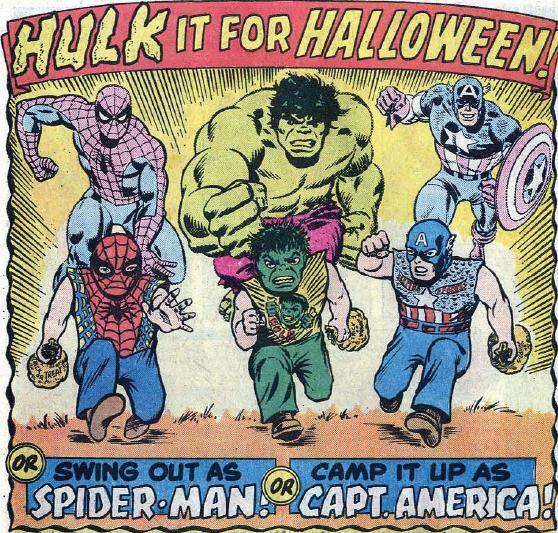 I am real glad that we are getting to revisit that world again, especially for Halloween. Hopefully we will get more Wytches coming from this! This is also a massive week for events….Heroes in Crisis #2, Drowned Earth #2, The Witching Hour #2, Extermination #4, Infinity Wars: Iron Hammer #2, Spider-Force #1, and Vault of Spiders #1. So much for a fifth week being a light week. It’s a lot to keep up with, though I have to admit that for the most part I have been enjoying all of these events. Batman/The Maxx: Arkham Dreams #2 – Absolutely loved the first issue of this! A true return to form for Sam Keith and Maxx!